There are three things you want to accomplish with youth baseball drills. The first thing is safety. Hopefully this goes without saying, but it is easy to let your guard down, and then wham a player gets in the head. I know you don’t want anyone to get hurt, so go that extra step on the cautious side. 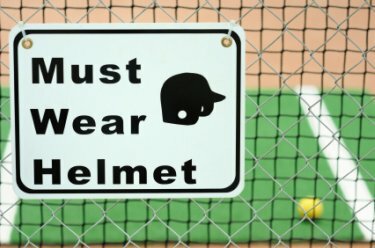 If you use base runners in any drill, be sure they wear helmets. Baseball weather can be awfully hot, and boys will try and not wear helmets during drills. So as the coach you need to stay on top of safety. Baseballs and bats can break bones and knock out teeth. Like I said before, make safety your number one concern and your parents will love you. The second thing you want to accomplish with youth baseball drills is learning. Sometimes we forget what it takes for a child to learn something. When it is a baseball drill, they need to be told step by step how to do it, be shown step by step how to do it, and then actually do the drill over and over. Kids baseball drills need to be repeated many times over for the learning process to sink in. The third thing you want to accomplish with youth baseball drills is having some fun. 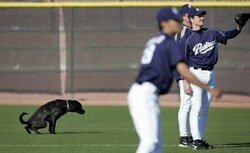 You will not keep the attention of your players during youth baseball practice drills unless they are enjoying the practice. We have already established that baseball drills have to be done over and over to be learned. The only way that is going to be successful is if you make it interesting. Youth baseball drills that are done in a competitive nature will keep your players interest and be more productive. Boys love to compete, even if it is only for one drill. You can come up with ways to keep score and award the winners and run the losers. But at practice boys just like an outcome on each play. Either the call is safe or out. That usually is enough to get their competitive juices flowing and make practice a whole lot more fun. One of the better little league baseball drills for players fourteen and younger is a team throwing contest. This baseball throwing drill is all about catching the ball, quickly taking the baseball out of the mitt, turning and making an accurate throw. If your team has been having a lot of bad throws, then this drill is a must. After warming up their arms, divide your team up into groups of four or five. There needs to be the same number of players in each group. If necessary, use a coach or parent to complete a team. The players on each team stand in a straight line, about 90 feet a part, or whatever distance you want them to practice throwing from. You hand a baseball to the end person on each team. When you say start, the players throw the baseball to the next player in line. That player catches the baseball and throws to the next player in line. The throws go to the end of the line and then back. Usually about three times up and down the line works best. The winners get a break and the losers run. Then start it up again. As simple as this drill is, it is one of the best youth baseball drills to sharpen the quickness and accuracy of throws. The losing teams will get tired enough to start being quicker and more accurate. One thing to watch for is players flicking the baseball out of their gloves into their hand. This leads to fumbled baseballs. They should be putting their hand into their glove for a smooth exchange. Trying to be too quick can also be a problem. This drill will teach them to be quick, but don't hurry. We hope this drill will help your team. Be sure to look around our website. We're sure you will find more helpful baseball drills.